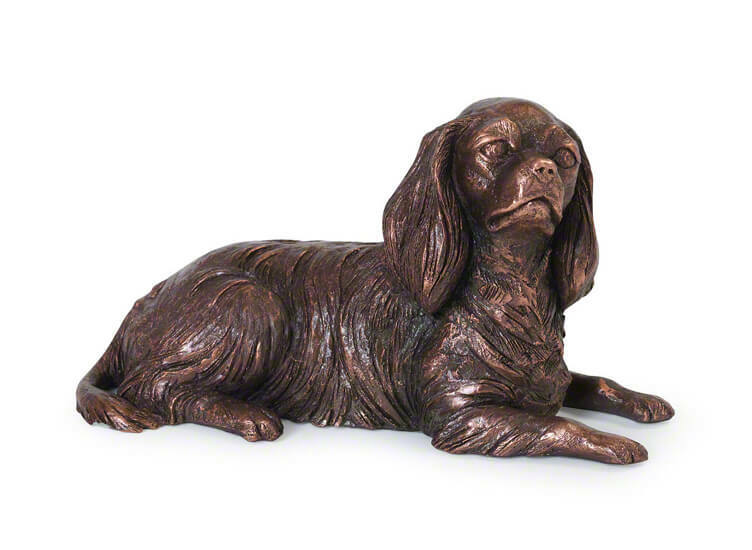 The compact cast Cavalier King Charles Spaniel cremation urn is available in two beautiful and distinctive styles – casket style and keepsake style. 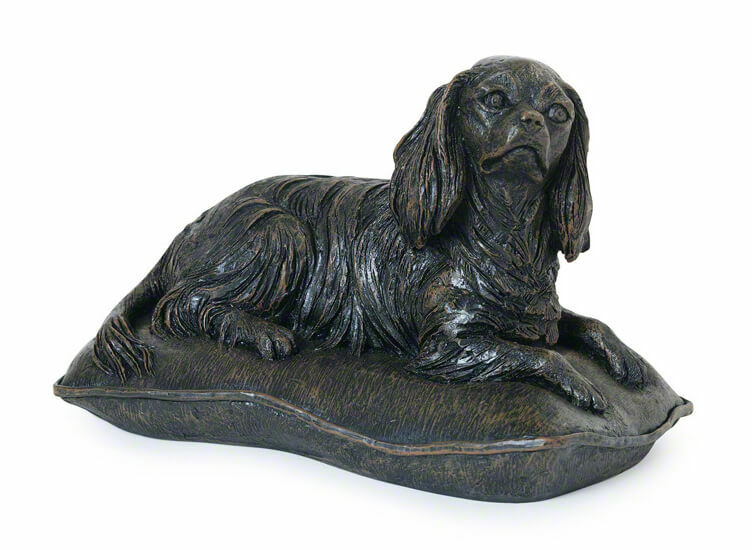 The casket style is suitable for full ashes and features a Cavalier King Charles Spaniel figurine atop a beautifully styled cushion plinth. 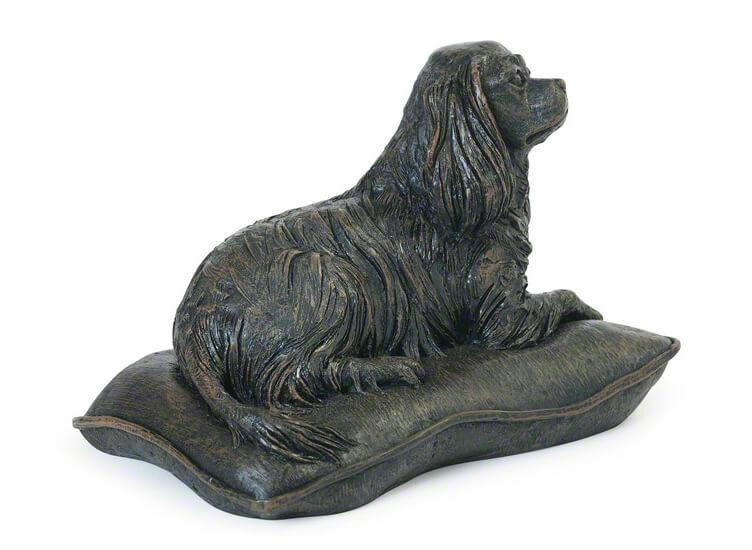 It is cast in solid resin with an antique bronze style finish. Size: 27cm in length and its height is 18cm. Can be used both indoors and out. As with any item, if placed outdoors the finish will 'weather' over time and we recommend choosing a location out of direct sunlight. 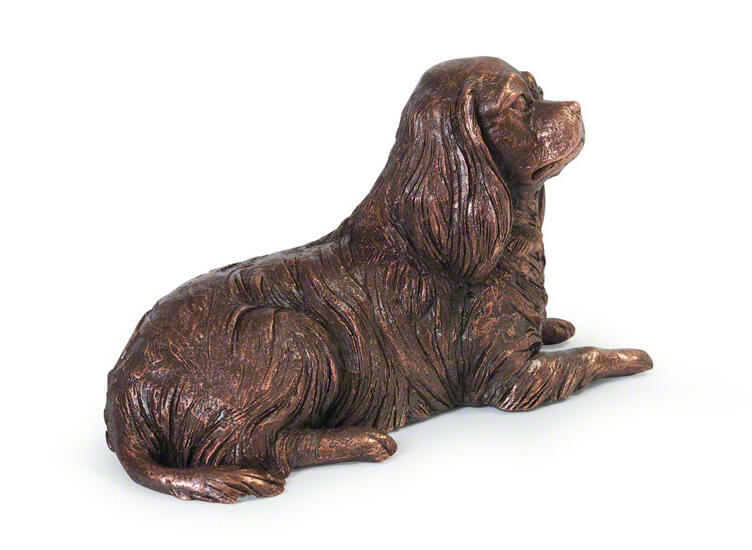 The keepsake style is cast in solid resin with a copper electroplated finish. Size: 26cm in length and its height is 14cm. The electroplated model is not suitable for outdoor use. Both styles comes supplied with the memory capsule to incorporate small mementos, name tag, a lock of hair, photo or plaque in a safe compartment in the base of the urn.